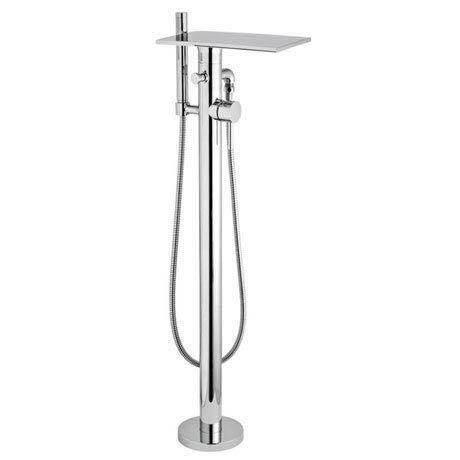 Hudson Reed are proud to release a stunning New range of freestanding bath fillers & bath/shower mixers. There are several different design options available, all designed and manufactured to the high standard of all Hudson Reed products. This Mixer has a flat panel top that delivers the water to the bath with the affect of a flowing waterfall, in addition to the bath filler there is a shower handset with a generous flex. The combination mixer is everything you will need for an modern, designer bathing experience.